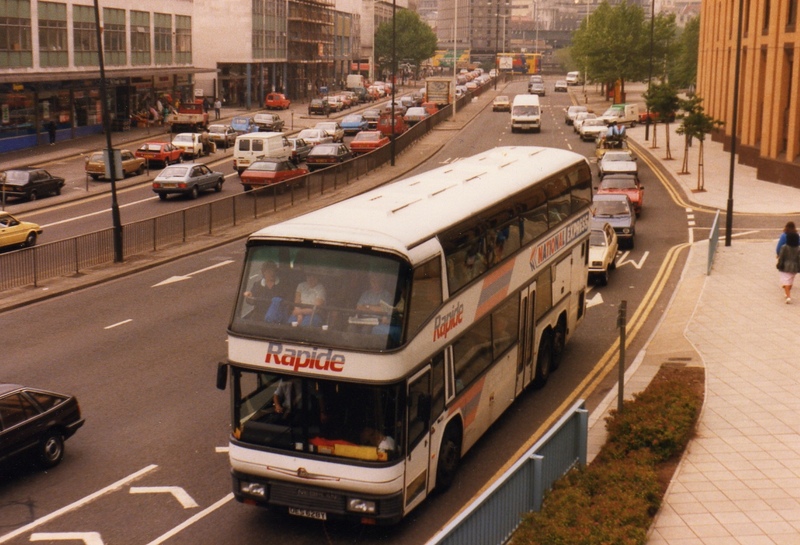 Trathens have long been linked to the Neoplan Skyliners having introduced them on their London services way back in 1981. They still have a batch of them on National Express duties which look great even in the current dull National Express livery. The word is however that this will soon come to an end as they are about to be replaced by 15M long single deck coaches. No idea what these will be yet, but I cant see them being as impressively distinctive as the Skyliners. Shame. 15M of plain white coach with a few grey ‘stair rods’ at the back. Hardly eye catching is it? Trathens are starting to take delivery of there new coaches not sure what they are yet but National Express themselves have ordered Scania's with Caetano Bodywork. I've also taken a trip today between Heathrow and London (admittedly not as long a journey as London to Glasgow) I feel they are far superior to Caetanos tri-axles. The Volvos are very nippy compared with the underpowered Scania Caetanos. I can only presume you were in a hurry to get to London. The one thing we have to remember is these coaches have room for 64 passengers compared to 53 on the Caetanos tri-axels so passenger comfort has been compromised.